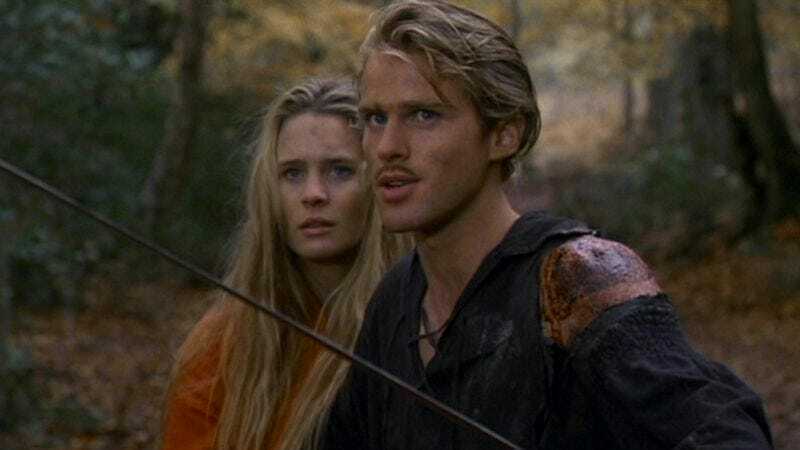 Still the video gets in some solid jabs about The Princess Bride’s “really, really polite action,” its obsession with catchphrases, and the somewhat questionable development of its central romance. But maybe the best gag is the one that demonstrates what it would be like to watch the entire film with Peter Falk speaking the dialogue. Plus, we have to admit that referring to Christopher Guest’s Count Rugen as “His Fingers Go To Eleven” is pretty inspired.